As a school leader, your influence and impact on students, staff, and families is beyond measure. Designed as a guide and reflective tool, Leading With Intention will help focus your invaluable everyday work. The authors provide in-depth advice and actionable steps for creating a highly effective school culture in which leaders and teachers collaborate, make evidence-based decisions, and most importantly, believe students are the top priority. 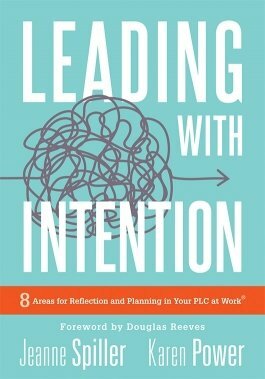 Explore eight interrelated areas of school leadership that will assist you in becoming a more synergistic leader. Explore four concepts essential to your work in leading schools: collaboration, a shared leadership model, evidence-based decision-making, and a focus on learning. Learn how to enhance student achievement in your school or district with the Professional Learning Communities at Work™ (PLC) process. Acquire 40+ specific instructional leadership actions you can put into practice immediately. Access leadership reflection questions and downloadable reproducibles designed to support your educational leadership development.